On Tuesday the 5th of June I’ll be publishing a short story I’ve written especially to mark the Queen’s Diamond Jubilee. I’ll be putting it online here for you to download free, so that you can print it out and keep it should you so wish (there are actually people who do this!). When people ask ‘Isn’t it weird having a Queen in the 21st century?’ I point out that HRH has been a constant presence in the lives of Londoners since before I and most of my friends were born, and remains a strangely stabilising influence that’s hard to explain. As students we all went through our Republican phase (US readers please note that doesn’t mean the same thing) but the Queen’s astonishingly single-minded dedication to duty is something most of us recognise as a quality to which we can only aspire. ‘Born for the job of uniting a nation at its most fundamental level, did job very well.’ Not a bad epitaph. Men tend to fare badly in British royalty – it was a matriarchal society throughout the 20th century. Let’s skip over Charles and go straight onto William. Anyway, short story next week. Has the short story been put in yuor web-site yet, or am I a bit early! The Queen is making me feel less youthful. My parents and us kids sat at the TV and watched her being crowned in black and white “live from London.” What a terrific sight that was. I hope the caterpillar relates to your story, not to Herself. It does stir the thoughts while we wait, doesn’t it? Thanks in advance. 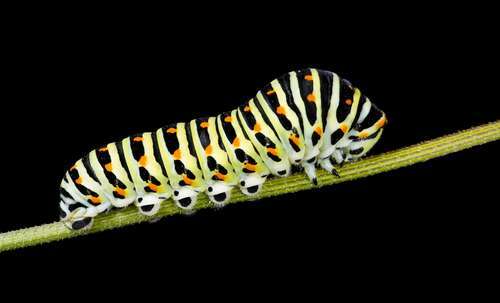 Does that catepillar turn into a monarch butterfly? 🙂 I can’t wait to read the short story. I would like to know more about why the people feel it’s necessary to still have a constitutional monarchy. One of the things it does is take the pressure off the head of government. I criticized an American president once and was told, “You can’t talk that way about our president. How would you feel if I talked that way about your Prime MInister?” My reply was, “Go ahead, we do it every day. There’s nothing special about a Prime Minister, he’s just the head of a political party.” The president, on the other hand, is an icon for the country as well as the head of a government over which he has no control. Really looking forward to the story. One need only look at my native USA to see that an elected head of state is no panacea. Personally, I’m much happier with the current one than with most I’ve endured, but… At any rate, I’m also looking forward to the story, and appreciate your making it available to us. I think one of the most important qualities of the queen is her relentless focus on not interfering, at least not openly, with the day to day running of her country. Unlike Charles, who manages to wind everyone up with every other utterance that vomits itself from his brain. Charles can say what he likes until the moment he becomes king because he’s just a citizen like anyone else (sort of) but as soon as the cry of God save the King goes out he’ll have to be silent on public matters.